The weather has been getting colder and colder (no kidding, it’s almost winter!) 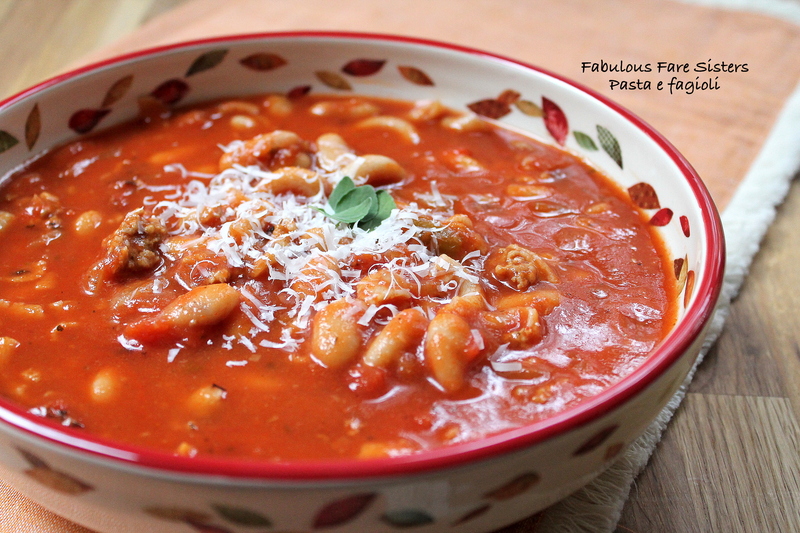 – so for today’s post I’m sharing a Pasta e fagioli recipe that I’ve had for over thirty years…it’s a little different than the ‘usual’ Pasta e fagioli as I use Andouille sausage to add a bit of heat…instead of regular elbow noodles or ditalini pasta I substituted Ronzoni’s Gluten-Free Elbow Pasta. 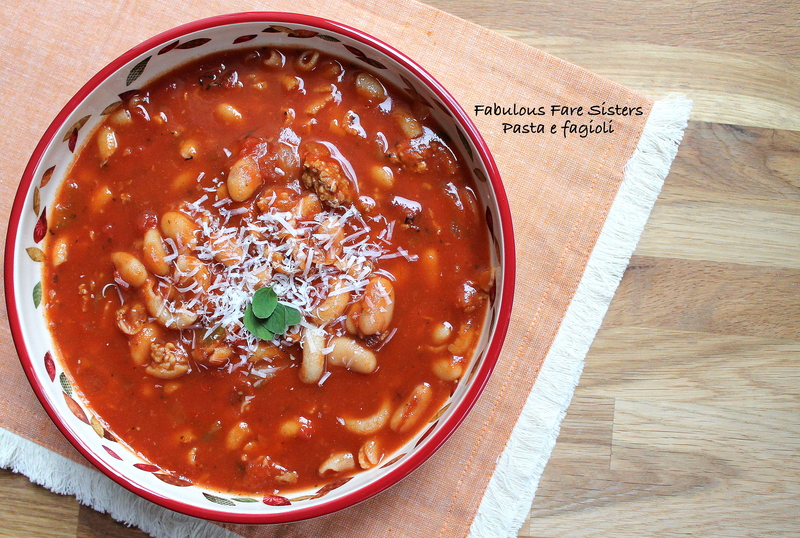 This soup is absolutely delicious and perfect for cold days…it would also be a great dinner for the evening before Thanksgiving – served with a crusty bread it feeds a small crowd. Happy Thanksgiving to all! In a soup pot, sauté diced celery, onion, garlic & sausage in hot olive oil 8-10 minutes until vegetables are tender and sausage is cooked; seasoning with oregano, basil, parsley & salt. Meanwhile, cook elbow noodles as package directs; drain and set aside. To the soup pot add the cannellini beans, fire roasted diced tomatoes (with their juices), tomato puree and chicken stock. Bring to a boil; reduce heat and simmer a minimum of 10 minutes. Add the cooked elbow noodles and heat through. Scoop into bowls. Sprinkle with freshly grated Parmesan cheese.